In order for the ILAC MENA Programme to reach its’ full potential, there’s a great need for programme management. On 1 -3 February, representatives from the implementing member organisations IAWJ, RWI, ABA-ROLI, IBAHRI and CEELI Institute, met to improve the programme coordination, monitoring and evaluation, as well as gender mainstreaming and the implementation of cross cutting perspectives. Back row: Ismaël Benkhalifa, ILAC Tunisia, Marek Svoboda, Chris Lehmann, CEELI, Rhodri Williams, ILAC, Fathi Zabaar, IBA-ROLI, Leila Dachraoui, ILAC Tunisia. Front row: Anne Goldstein, IAWJ, Chara de Lacey, IBAHRI, Joan Winship, IAWJ, Tina Burjaliani, ABA-ROLI, Emma Melander Borg, Carla Boukheir, RWI. Missing in picture: Winta Menghis, IAWJ. 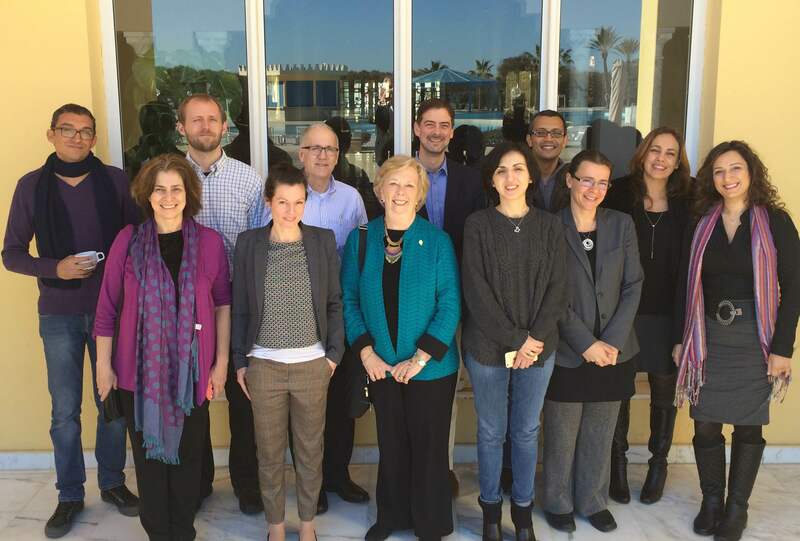 See more pictures from the ILAC MENA Programme RCM meeting in Tunis on ILACs’ Flickr account.